The truck mounted concrete pump is also called concrete pump, concrete pump truck, concrete mixer with pump, portable concrete mixer and pump, etc. The truck mounted concrete pump we produce are with good quality, best price. We have one small mixer truck with pump. It is one multifunctional truck, which can be used as concrete mixer truck and concrete pump truck. The mixing volume is 0.5 cubic meters and the vertical pump height is 30 meter. Dongfeng 6*4 12ton folded truck with crane, Cummins 210hp Euro 3 engine, fastgear 8 speed transmission(8JS85E);front bridge 5ton/rear bridge 10ton; 12 ton telescopic crane arm (details as below) and horizontal hydraulic rear outriggers; 10-20 nylon tire. cargo van dimension(L*W*H) 8400*2300*550(mm), with 2mm thickness carbon steel for side sheet and 3mm thickness carbon steel for bottom sheet. 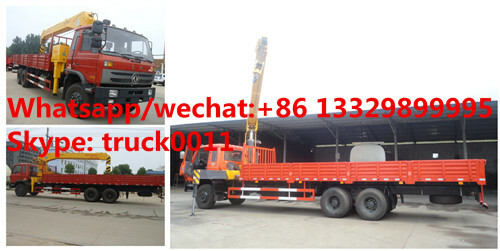 If you're interested in our dongfeng 12tons truck with crane, please feel free to send email to truck0011@163.com or talk to Anita directly by Whatsapp/Wechat/Mob. : +86 13329899995. 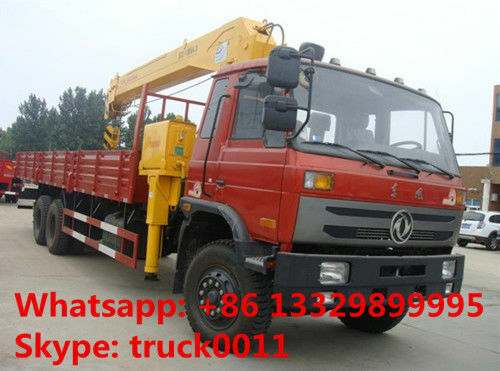 More pictures of hot sale dongfeng 6*4 LHD 12tons telescopic boom mounted on truck manufactured by Chengli Special Automobile Co., Ltd. as below . 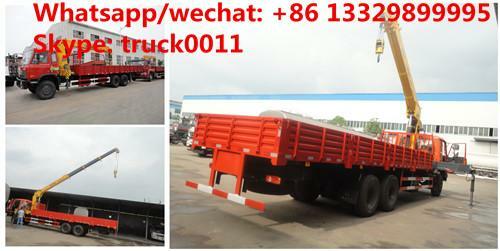 Chassis model EQ1258 Manufacturer Dongfeng Automobile Co., Ltd. Remark: this is the rated parameters for the system flow of 1500L/min.